We're in the business of making connections between plants, people, and the planet every day. So naturally, Earth Day is one of our favorite days of action. It's a day where we reflect on how our individual actions can impact the lives of our houseplants, our city parks, our forests, and relationships with each other. Our plants are grown with the simple elements of sunlight and water. Some of them can take anywhere between 3 months and 10 years to grow before they find their way to your home. Occasionally they're fertilized, but they're naturally grown, never manufactured. This means no two plants are alike! At Léon & George, we merely preserve what nature has created, and offer you the service and tools needed to live alongside plants indoors. 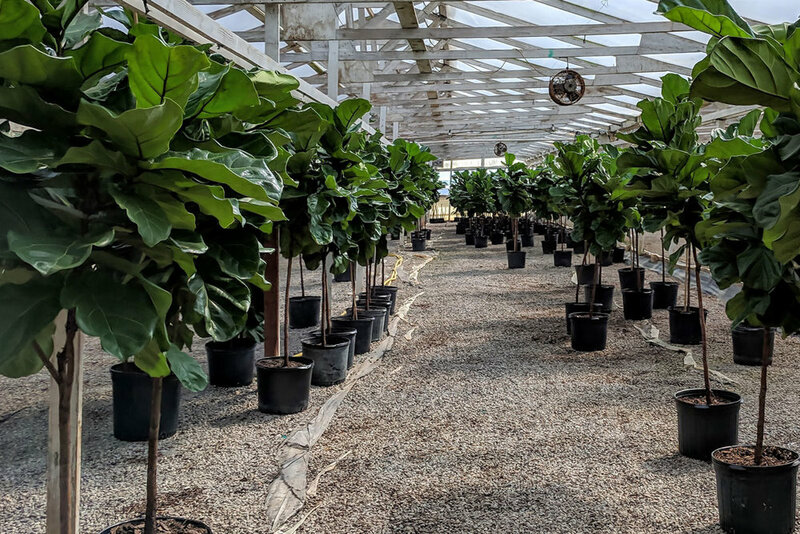 We’re committed to supporting long-lasting relationships between each plant that goes out and their new homes. Similar to how pet adoption agencies vet potential parents, when you shop with us online or in store, we feel a similar obligation to matching plants with thoughtful owners and the environments they'll need to be happy indoors. This year, we're celebrating Earth Day by acknowledging all of our plant-loving customers who make the world a little more vibrant, one plant at a time. To thank you for joining us on this journey, we're doubling down on our commitment to offset our carbon footprint. For every plant purchased on Earth Day 2019, we will double our standard donation to the National Forest Foundation. That means your purchase will go twice as far toward producing more clean air (and happy plants) than ever. Read more about your impact and our partnership with the National Forest Foundation here. Here's to a plant-filled year and beyond. Together we can build a more sustainable future for people and planet... and plants!